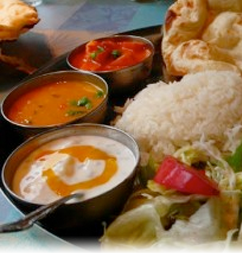 Cross Culture – Fine Indian Cuisine brings the true and authentic taste of India to American culture. Cross Culture provides a classic combination of indisputable knowledge, unique experience and traditional values that carry worldwide recognition. The restaurant offers a sophisticated fine dining experience with charming staff, discrete service and tantalizing food that few can compete with. That is the combination to ensure our guests come back for more. The menu is focused on Northern Indian style of cooking highlighting the specialties from the tandoor - a traditional clay oven, and a wide selection of various curries and kormas with varying degrees of spices. With its old fashioned character and pleasant fine dining atmosphere, Cross Culture is the perfect place for a casual or a formal luncheon or dinner. We offer elegant & comfortably designed seating inside or outside on the large raised porch overlooking historic Doylestown. 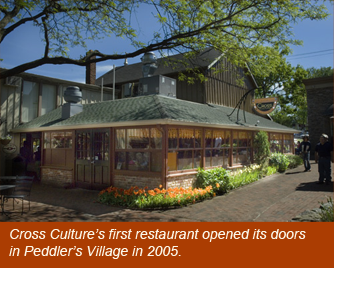 Cross Culture was conceptualized in 2005 and established its first restaurant in Peddler’s Village, Bucks County, Pennsylvania in 2006 and has grown with locations in Doylestown, Buckingham & New Hope -Bucks County, Pennsylvania and Princeton, New Jersey. Cross Culture is a BYOB establishment and the menu revolves around true Indian cuisine intertwined with fine selection of wine, soft and alcoholic beverages. In addition to its lighting, comfortable seating and enchanting Indian music, Cross Culture sets the mood of genuine Indian culture with its décor and refined interior architecture. The emphasis on the Indian culture is clearly displayed inside the restaurant and it also shows the uniqueness of Cross Culture – Fine Indian Cuisine. Cross Culture concept is distinctive as it is not just about selling Indian food but it also revolves around bringing in India’s great cultural heritage and traditions while relishing the cuisine. 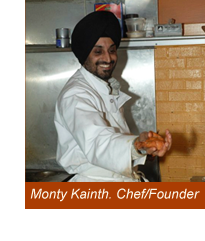 Cross Culture continues to be instrumental in changing perceptions of the subcontinent’s cuisine. We hope your dining experience at Cross Culture will be an enjoyable one! 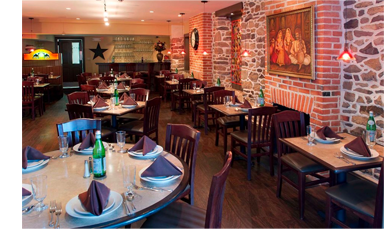 For reservations, please call 215-489-9101.